From the developers of One More Dungeon, comes a pretty ballsy parody. 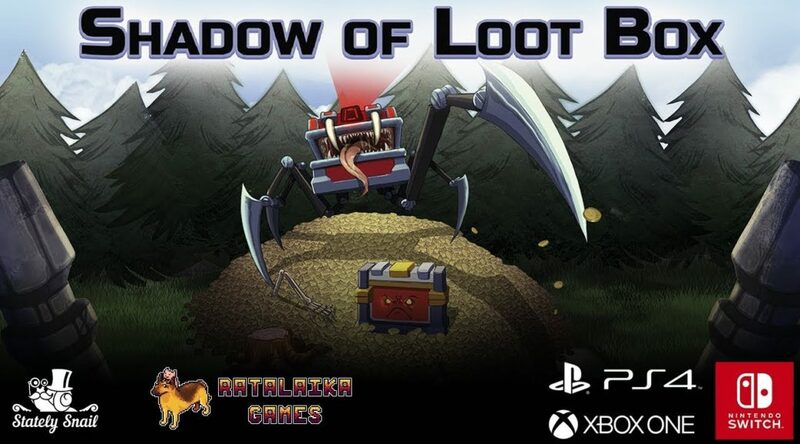 Ratalaika Games’ Shadow of Loot Box will be launching for Nintendo Switch and other consoles ‘before Christmas 2018‘. Trudge through the filthiness of modern gaming in this hilarious first-person shooter! Leon, Spain — 9th of October, 2018 — From the developers that brought you One More Dungeon, comes a parody first-person shooter that picks jokes at microtransactions and will punish you if you don’t conserve your ammo. Players will soon be able to get their weapons and fight against an army of evil lootboxes when Shadow of Loot Box launches on PlayStation 4, Xbox One and Nintendo Switch. Will you wage war against Loot Boxes when the time comes? The game is been prepared to arrive before Christmas 2018. The game also features English, Spanish, German, Russian and Japanese languages.